Insanity workout program means intense workout. It is for people who are willing to give more time and extra effort to loose weight. This program is more on intense cardio and core workout. It is far different from ordinary workout because in the workout that we used to do on gyms, short burst of energy and longer periods of break or rest. In this program, longer periods of cardio workout and short breaks. No home exercise equipment is used in this workout program and each workout will be less than 1 hour. This is the first part of the program that tests your fitness level. 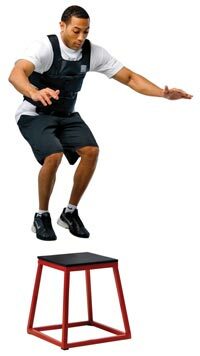 This is a type of exercise that produces fast, powerful movements, and improves the functions of the nervous system. It is commonly used in improving sports performance. This is designed to build lean muscles. It is the combination of an intense cardio workout and strength training and power movements. This training would require you to focus on non-stop workout. Lots of core cardio and balance workout. It would take at least 40 minutes. In this time much longer period of intensity and much lesser period of breaks. It would take 60 minutes and above. It is a leg exercise. 55 minutes and above of it. It is the burning of body fuel or tons of calories and toning the abdominals. It is about for 50 minutes and above. Insanity can be very effective especially if well guided by the trainer and doctor. It is also important to consult a doctor in this case to watch over your health. Sometimes we get so excited about loosing weight and taking the insanity test by ourselves, but take note, that won’t give you any better it will just make things worse. Be well guided and observe discipline to be healthy and fit.